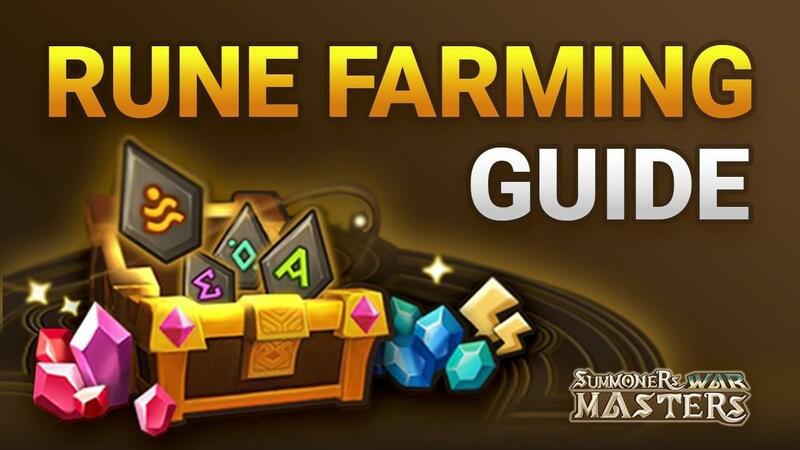 The goal of this guide is to get your GB10 team to a 100% success rate, ~40 second average runtime as efficiently as possible so you can really maximize on your rune farming and progress your Summoners War account as fast as possible. Building a 100% success rate speed team isn’t about having overpowered natural 5-stars (nat 5’s), it’s all about having team synergy and the right rune builds. Why Is Farming GB10 Fast and Efficiently So Important? Giant’s Keep, Basement 10 (GB10) should be your first major goal in SW because runes are by far the most important thing to focus on, without great runes you won’t be able to succeed in any area of the game. GB10 also drops some of the best rune types in the game that are usable in every aspect of the game, unlike other dungeons like NB10 which drop runes that are mostly only used in PvP content. If you are a free-to-play player or only spend $30-$100 a month on in-game packs then you should be focusing on building a team with the highest success rate possible to maximize on the number of runes you get for your energy and crystals. 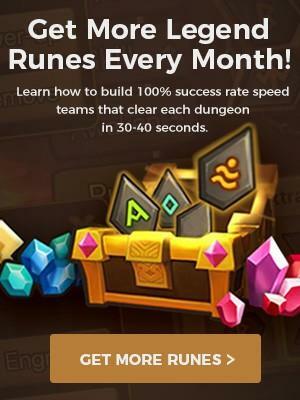 If you buy multiple packs every month or just have very little time to play Summoners War then you might want to consider speed as a more important factor to maximize your rune drops. 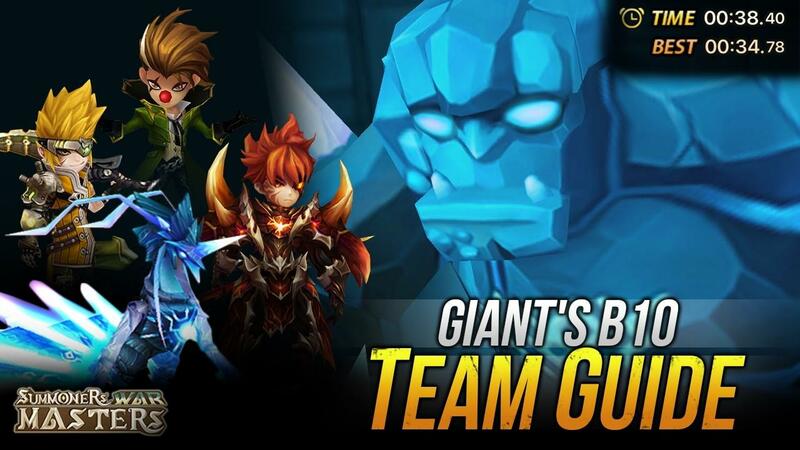 Who should build this kind of team: Anyone who is not currently able to farm GB10 on auto with above a 90% success rate should build this exact starter team. If you already have I starter team capable of farming GB10 reliably, scroll down to either the Fast Team or Speed team sections. Most of your team should be built on Swift/Focus or Swift/Energy with Speed/HP%/HP% main stats on your slot 2/4/6 runes. You can replace an HP% rune with a Def% rune but make sure to get good HP% substats. The best way to get these runes is to farm a lower floor of giants like GB6-8 till your mons reach the minimum requirements listed above. You will also need to fully skill up all your mons otherwise your success rate will likely be too low to efficiently farm GB10. Cleanse – The main reason your team will wipe is because the tower will put defense break on your team and the giant will one shot them. Cleansing the defense break off your team is the most important thing you must do if you want to build a successful GB10 beginner team. 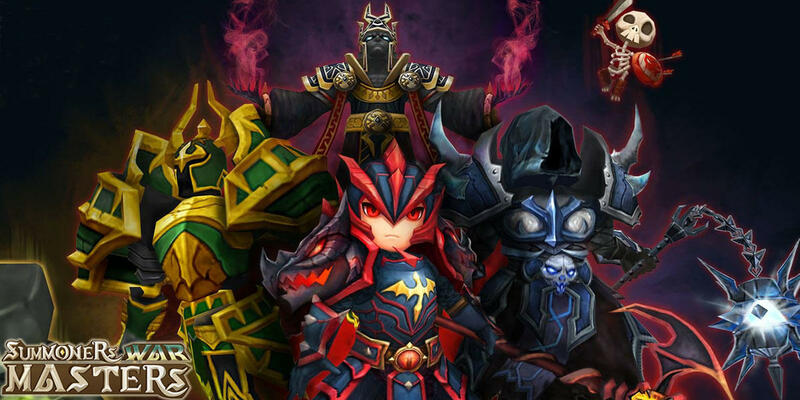 Heals – You will need a powerful healer to sustain your team, make sure your healer has strong heals. Don’t bring two healers because typically you will wipe because the giant one shot some of your team members, so you want to focus on damage reduction not healing. Buff Strip – You will also need a buff striper to remove the attack buff off the giant boss, he will do much less damage without the attack buff and have no chance of killing anyone on your team unless there is defense break on them. Attack Break – This debuff will significantly lower the giants attack power and make it even harder for him to kill anyone on your team. Attack Bar Increase & Speed Buff – These buffs are very strong because they will give your team a few extra turns compared to the GB10 boss, they are especial important if you don’t have very high speed on your runes. Defense Buff – This buff is very strong and will reduce incoming damage significantly. Defense buff, attack break, and buff strip are great fail safes to have because with all three of these up your team will be able to survive a hit from the GB10 boss even if you get unlucky enough to have the boss attack right after your team gets defense broken. Defense Break – This debuff significantly lowers the giants defense allowing your team to kill him quicker. Without it you will wipe too often because it gives the boss more time to get lucky and land a powerful attack while your team is defense broken. Continuous Damage – DoTs are important because they will be your main source of damage. They do 5% of the enemies max HP every turn and since the GB10 boss has so much HP it will speed up your runs quite a bit. His passive removes one debuff from your whole team each time he takes a turn. To get Veromos you have to fuse him via the fusion hexagram building. He should be your first or second 6* (you can 6* lapis for farming first) and he should be the first mon you fully skill up with devilmons. There really are no alternatives to Veromos and I would not recommend trying to progress without him. While it is possible to farm GB10 and get through the game without him it’s simply inefficient to do so. 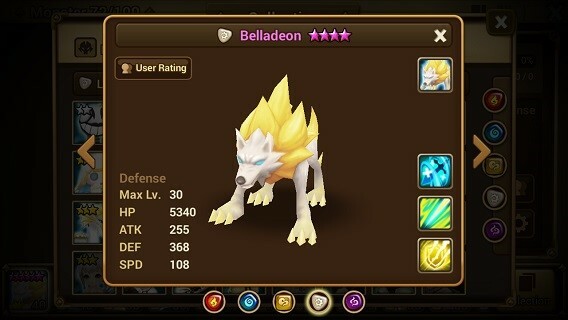 Belladeon is the most important mon to your GB10 team. Belladeon is very easy to get and fully skill up. You can get her from a secret dungeon on Sundays which is light essence farming day. You can also skill her up by farming Garen Forest, Telain Forest, or Faimon Volcano. Just make sure to do hard or hell mode for higher inugami drop rates. Do not try to replace Belladeon, while it is possible to do GB10 without her she is better than any other options while also being easy to obtain and great in other areas of the game. Increases your teams' speed by 33% so you take more turns compared to the GB10 boss. You get Bernard from doing the storyline quests and can easily farm skillups for him in Tamor Desert. 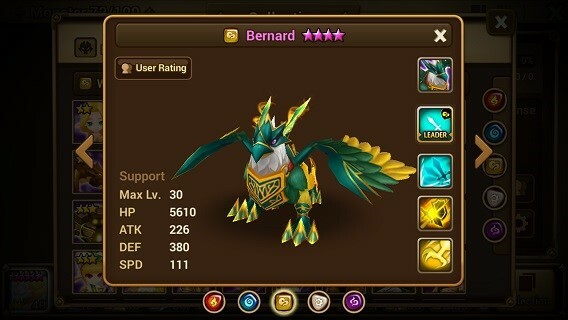 Bernard is another mon I would not recommend replacing because he is given to you for free, easy to build, and also very good for other content in the game including PvP even at high levels of guardian. Shannon provides a ton of useful buffs and debuffs that the rest of this team is lacking. AOE attack speed slows the GB10 boss and crystals. Gives your team an attack power buff so they do more damage. 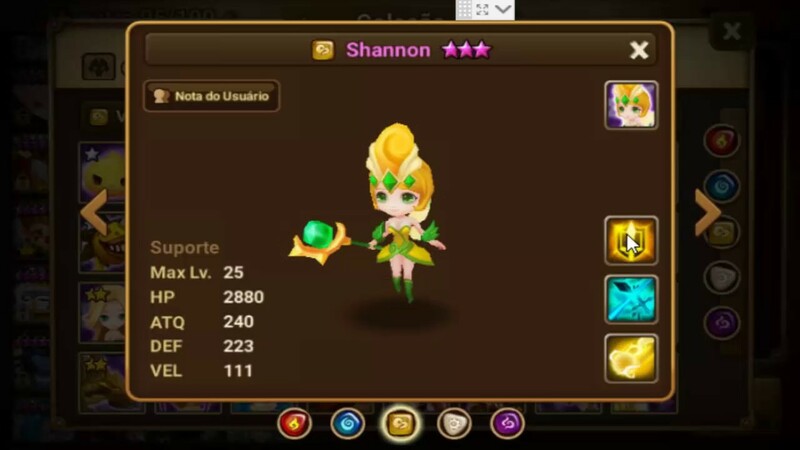 Shannon is given to you through the story quest line and is also found in the magic shop so skilling her up will be very easy. An upgrade to Shannon would be Megan, the Water Mystic Witch. Megan will provide the attack power and defense buff as well and instead of an attack speed slow Megan will boost your teams attack bar. The main reasons she is better than Shannon is she will strip the giants attack buff which is better than glancing debuff and her first skill does 5% of the bosses max HP in damage which will speed up your runs. If you happen to summon Megan early on and want to use her make sure you skill her up first because a fully skilled up Shannon is better than an unskilled Megan. 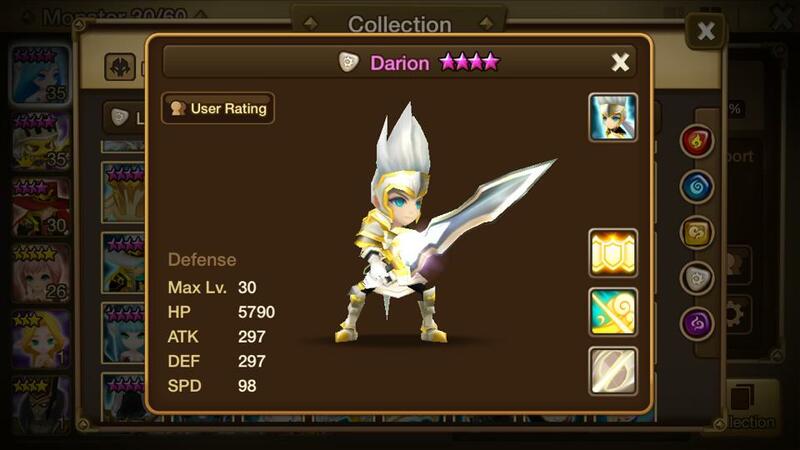 Darion is a great 5th member for your first GB10 team. He also decreases all incoming damage by 20% for your other teammates. You can get Darion from a secret dungeon on Sundays which is light essence farming day. Skilling up Darion is very easy since you can get Vagabonds from the magic shop and unknown scrolls. You can replace Darion with any other support you may have pulled from scrolls. You want a support that will heal, remove harmful effects, and or reduces the damage your team takes. After you have farmed GB10 for a while and improved your runes you can look at speeding up your runs by adding in one or two damage dealers. Before you try to build a fast GB10 team make sure your team meets the stat requirements below, you will also need to have summoned or fused a good damage dealer. If you’re having trouble figuring out how to meet the stat requirements, I break down exactly how to rune each monster for GB10 in my Rune Farming Guide. Cleanse – At this stage, you still have to rely on cleansing the defense break because you will not have the damage to kill the giants boss before he gets a turn. Heals – You most likely will still need a healer with only one or two damage dealers. Defense Break – This debuff is even more important for a fast team because you need to kill the boss quickly before your damage dealers die. Attack Bar Increase & Speed Buff – These buffs are also more important for a fast team because your damage dealers will be built on high damage and low speed. The first step to building a fast GB10 team is to replace Darion or whoever your +1 support was with a damage dealer. When you are looking to add a second damage dealer you will either replace Shannon or Bernard depending on your runes, if your runes have good speed but lacking tankieness then replace Bernard if your runes are lacking speed then replace Shannon (If you have a skilled up Megan then use Megan because she has both an attack bar boost and defense buff). If you don’t have Lushen or want to build an even better team than the examples I listed you should consider getting my Rune Farming Guide, in there I have 60+ teams broken down into a tier list so you will know the best possible team you’re able to build with the monsters you currently have. The first priority should always be to get as close to a 100% success rate as possible before increasing the speed of your runs. The only time you should accept less than a 99% success rate is if you’re willing to buy tons of packs and just need to burn through your crystals as fast as possible. Who are the best damage dealers for GB10? Lushen is pretty much considered the best damage dealer for GB10 from early game to late game you will never replace him, most speed teams even include two Lushens. Lushen is so good for GB10 because his third skill is AOE ignore defense so he can one shot the trash waves with no defense break or attack buff, this will speed up your runs significantly because the trash waves are what makes your runs take so long. Lushen also has a 33% attack power leader skill you can use once your runes are good enough not to need the HP leader. Lushen is the only semi-difficult to obtain mon from this team because he is a 4* that you can’t farm or fuse. If you were not lucky with your scrolls and didn’t get him yet you can save all your exclusive summoning stones from events, guild wars, ToA, ect for a Lushen week and summon for him. Lushen is probably the most important mon to summon for early game progression because he will be very impactful for you in giants, guild wars, and arena. Late game you will still use Lushen in GB10, Arena Offence, occasionally Guild Wars Offence, NB10 speed runs, and ToA speed clears for the lower floors. 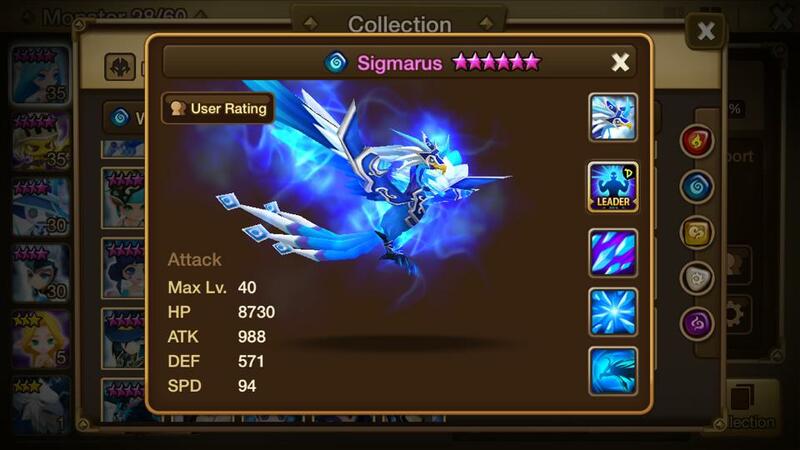 Sigmarus is one of the best first or second damage dealers for GB10 because her leader skill will give your team 44% more HP to make up for the additional damage you will take from removing a support. Sigmarus also has a hard hitting 3rd skill that is AOE and scales based on enemy max HP which will help speed up clearing the trash waves and burn down the giant boss due to his large HP. Her second skill also hits very hard because it scales off enemy max HP. Sigmarus adds a few safety precautions to your runs by freezing the trash waves and attack power breaking the boss. You can get Sigmarus though fusion via the fusion hexagram building so anyone can build her. She is also a good investment because she is amazing for DB10 (the next dungeon you will be working towards) and she is good for the fire rift beast you will need to farm later in the game. Positives: Best wave clear damage dealer for GB10 aside from Lushen. Teshar hits extremely hard on the giant boss and has AOE skills to clear the waves fast. She is also a Wind mon with a crazy good 33% crit rate leader skill. 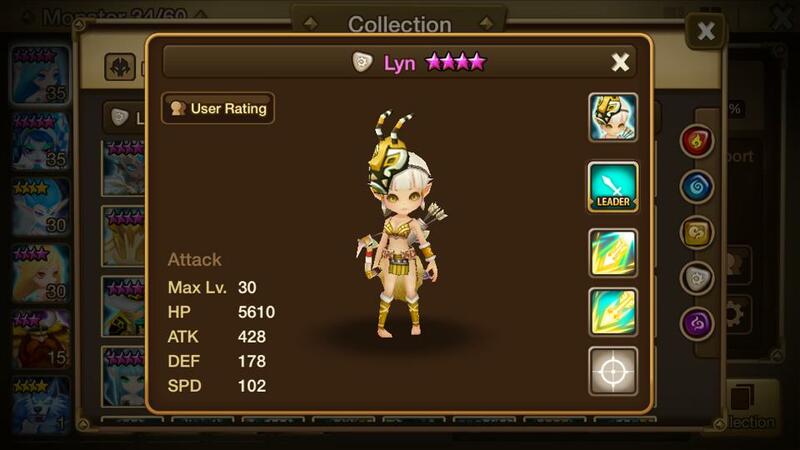 Negatives: She is a Nat 5 star mon that has to be summoned so she is not obtainable. Teshar also doesn’t have an HP leader skill like Sigmarus that is sometimes needed for early game players transitioning into a fast GB10 team. Positives: Amazing GB10 damage dealer because he has both hard hitting AOE and single target damage skills. He also has an attack speed slow debuff which is great because you will be replacing Shannon who was your only attack speed slow debuffer. Negatives: Hard to obtain Nat 5 and no helpful leader skill. Positives: Amazing for similar reasons as his brother Taor and he will have elemental advantage by being a Wind mon. Positives: Hits pretty hard and has a backup defense break. His passive gives him elemental advantage and endure buff that makes it very easy for him to survive. Also has a nice 24% crit rate leader skill in case you’re lacking good crit rate runes on your damage dealers. Negatives: Has no AOE skills for speed clearing the waves. Can take a while to get if you don’t get lucky and get him on your first ifrit summon from guild wars. Positives: Does decent AOE damage for clearing the waves. Provides an attack speed slow and reduces enemy attack bar to make your runs safer. Negatives: There are other options that will do more damage, no useful leader skill and she is a hard to obtain Nat 5 mon. Positives: Does decent AOE damage for clearing the waves and has a 33% attack power leader skill if you don’t have a Lushen. Provides an attack speed slow and reduces enemy attack bar to make your runs safer. Negatives: There are other options that will do more damage and is a hard to obtain Nat 5 mon. Positives: Will speed up your runs by using DoTs to burn down the GB10 boss. He is a decent damage dealer for early game players if you don’t have any other options. Negatives: You will replace him fairly quickly so might feel like a waste of a 6 star. Positives: Great utility/damage dealer hybrid. Does good damage while providing a brand, attack power, and attack speed buff. Negatives: No useful leader skill. After you have been farming GB10 and/or DB10 for at least a few months you can look at building a speed team. For a reliable speed team, you are going to need high rune quality, a Galleon, and 3-4 damage dealers. The reason you want over 150 speed on your damage dealers is because the GB10 boss has 75 speed so with 150 speed your damage dealers will take two turns before the boss can take a turn even without attack speed slow or attack bar pushback. If you land the attack speed slow and or 2-3 attack bar pushbacks your damage dealers should be able to take 3 turns each before the boss. Defense Break – This debuff is the most important thing to have for a speed team both to make your runs faster and for safe runs. Without a reliable defense breaker or two defense breakers your team won’t do enough damage which will give the giant boss time to get lucky kills on your monsters. Attack Power Buff – This buff is important for the same reasons as defense break, it greatly increases your teams’ damage. It’s not as important because defense break gives a much higher damage output. AoE Damage – If you don’t have at least two AoE damage dealers your runs just won’t be as fast. You can do a speed team without AoE damage but you will notice a significant increase in the time it takes to clear GB10. Attack Bar Reduction – Using attack bar reduction is how you’re going to make your speed team close to a 100% success rate. Since you are no longer using tanky mons with damage reduction or sustain you have to kill the boss before he can attack your team with his powerful attack. By using monsters with attack bar reduction skills you can make it so that the GB10 boss can’t take a turn. If you want to build a reliable GB10 speed team you are going to need a Galleon because he is the only reliable AOE defense breaker and attack buffer in the game. In order to make a speed team work you have to kill the giant’s boss before he gets a turn, so without a reliable defense break and attack power buff, your team won’t be able to do enough damage. The third thing you will need to do is to “speed tune” your team. You will need your Galleon to move first so he AOE defense breaks and attack power buffs your team then you need your hard hitting AOE damage dealers (Like Lushen) to move right after him so they can one shot the waves. If you have single target damage dealers moving before your AOE damage dealers they will just waste time using their skills on each wave when you could have just one shot the wave with an AOE damage dealer. 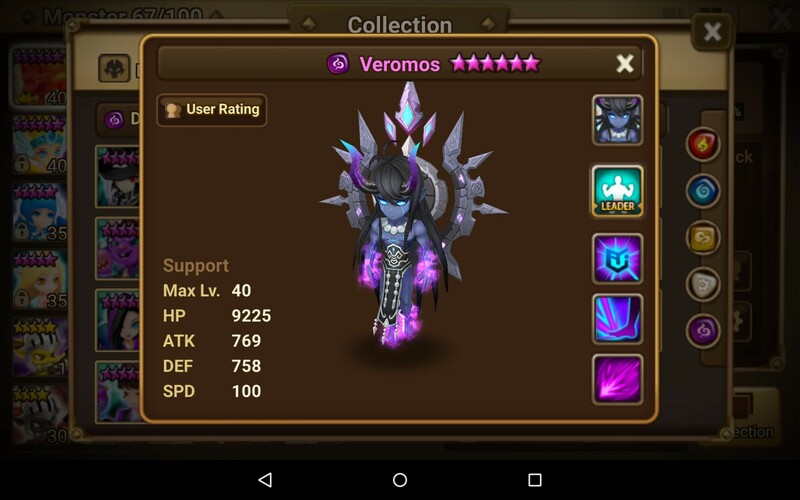 If you are using Veromos he will have to be fast making him move either first or second on your team, this is one of the reasons he slows down your runs is because he will waste time on each wave. If you want to build the best GB10 team possible you should get my Rune Farming Guide. 60+ teams broken down into a tier list so you will know the best possible team you’re able to build with the monsters you currently have. How to build the best fully free-to-play speed team with only farmable and fusable monsters. In-depth rune and stat guide that will break down exactly what runes and stats you will need for each monster on your team. Access to my personal coaching email and the SWMasters private community forums where we discuss cutting edge Summoners War strategies you won't find anywhere else. 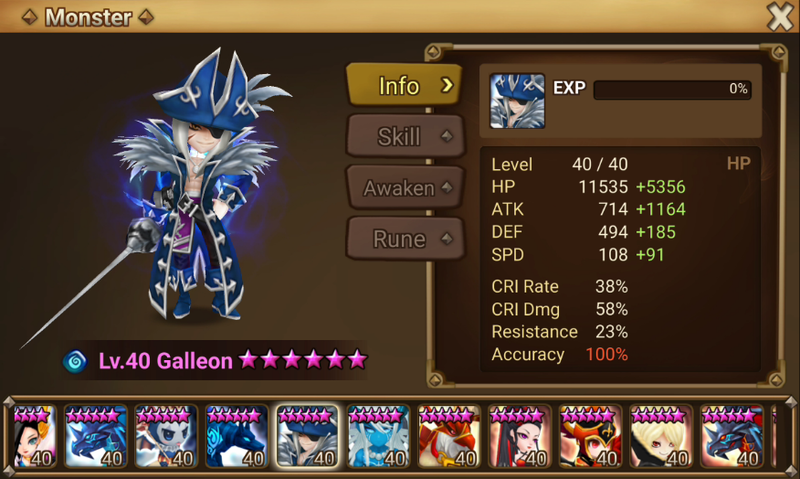 Galleon is not replaceable in a speed GB10 team because he has a single-target defense break and an AOE defense break that can’t glance because it does no damage. He also gives your team attack power buff with the same skill as his AOE defense break, no other mon in the game can provide both the speed and reliability of Galleon. The reason Lushen is the best damage dealer for GB10 is because of his third skill Amputation Magic which ignores defense. He is the only mon in the game capable of one shotting an entire wave of mons without defense break, attack buff or high rune quality. His second skill can also one shot the wave if your Galleon uses Time To Loot first. You can replace Lushen with other strong AOE damage dealers but I recommend using Lushen if you have him and if you don’t have him use your summoning stones on the weeks where you can get him. 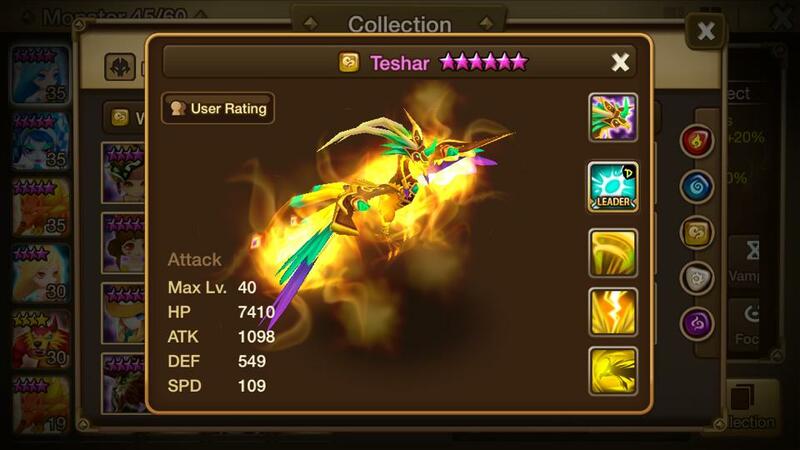 While Teshar is just as good as Lushen at clearing the waves she needs high rune quality in order to do it. 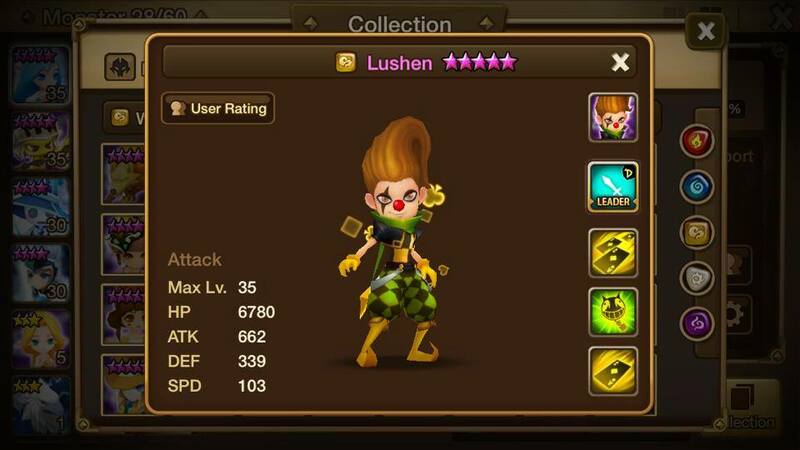 The main reason you would use Teshar instead of a second or third Lushen is because she hits harder than Lushen on the boss stage. There are a lot of other options that will work well instead of Teshar like Sigmarus and Taor. Barque is great for your speed GB10 team because he greatly increases the success rate of your runs without slowing them down. 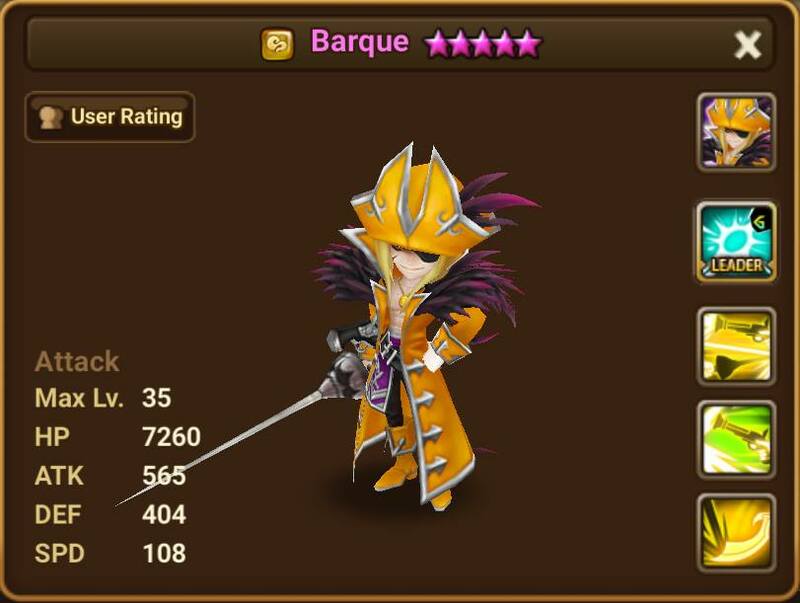 Barque makes it possible to get 100% success rate with 35-45 second speed runs because he has 2 skills that will defense break incase Galleon’s gets resisted and he has 2 skills that reduces the giants attack bar so he can’t take a turn. While Barque is the best option for this slot other good replacements are mons like Lupinus, Hwa, or Laika. 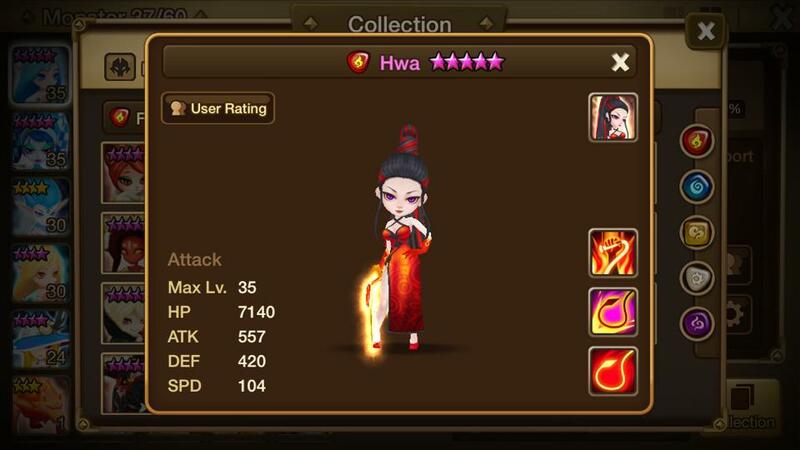 Hwa is amazing for making your runs safe because her attack bar push reduction on both her skills and attack speed slow on her first skill. This means she will be reducing the bosses attack bar every turn she takes unless it gets resisted. If you build Hwa with over 225 speed she will get three turns before the giant can even move (GB10 boss has 75 speed), the chances that the giant will resist three times in a row is very unlikely. With good luck a fast Hwa can permanently lock down the giant making him completely unable to take a turn and the best part is Hwa’s damage scales with her speed. 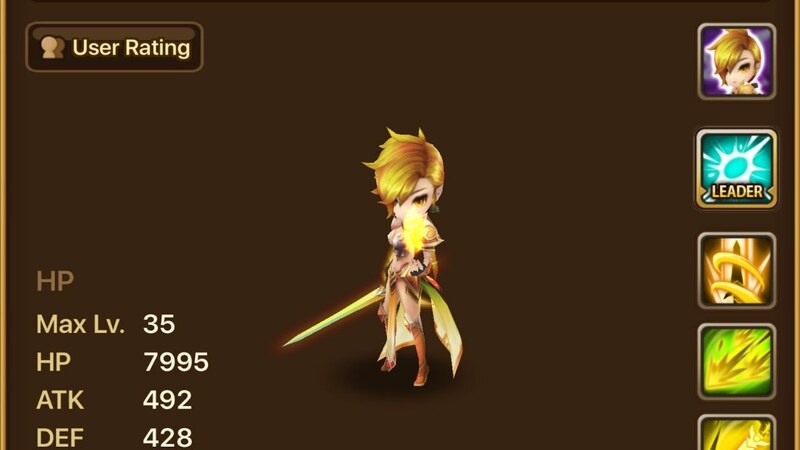 Even though Hwa is a fire mon it doesn’t matter she is still one of the best for making a reliable speed GB10 team, attack bar reduction cannot glance it can only be resisted so try to get her around 40-45% accuracy and about 20k+ HP which shouldn’t be an issue as you will be wanting her with some tanky stats for Raids. Lupinus’s third skill reduces the giants attack bar by 90% and the crystals attack bar by 30%. Her third skill also hits 3 times so the giant would have to get very lucky to resist all 3 attack bar reductions. Lupinus also applies attack speed slow on her first skill on both the boss and crystals. She also can do good damage due to her third skill scaling based on enemy max HP. 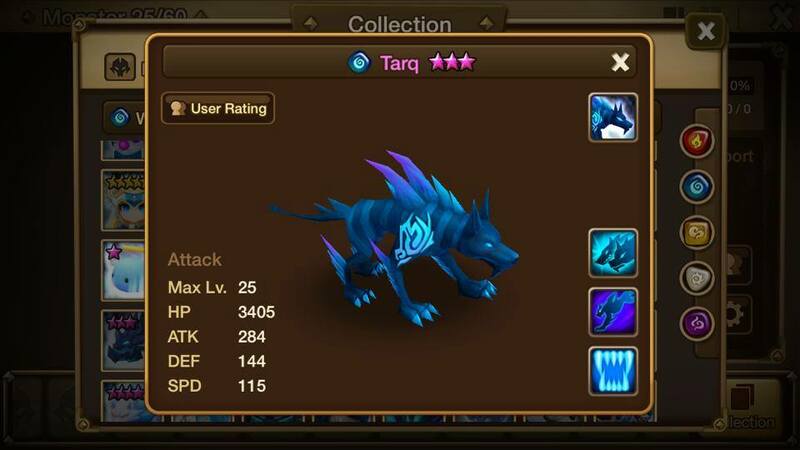 Tarq is a great option for free-to-play players or anyone that has not gotten lucky with their summons because he is an easy to farm and build 2 star mon. He isn’t as reliable as some of the other options I have mentioned above but he does make for speedy runs. His second skill is a huge single-target nuke that scales off of his attack speed and his third skill allows 2 other members of your team to get an extra attack, by giving your team an extra attack not only are you doing good damage but you are lowering the cooldowns of those team members. This will allow Galleon to get his Time To Loot up more often and Lushen to get his Amputation Magic up more often to speed up your runs, it also adds a bit of safety to your runs because if Galleon’s defense break gets resisted Tarq can Group Hunt with Galleon so he can land his skill one defense break. Lyn is also a great option because she is the hardest hitting single-target nuker for dungeons. All of her skills scale based on enemy max HP and since dungeon bosses has incredibly high HP she does crazy damage. 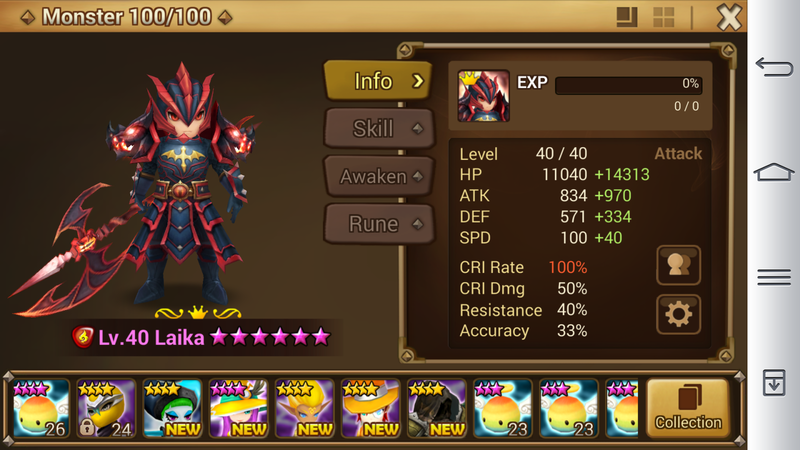 Laika can replace the need for attack bar reduction because he will keep your runs safe by being able to almost solo the GB10 boss with good runes. His passive makes it so that he can only take 35% of his max HP as damage each time the boss hits him. Just make sure you build him with decent tank stats good damage and on vampire runes so he heals himself back up. Laika also cannot glance so being the fire element doesn’t lower his damage vs water mons.